Here are some more excellent games you might like! Asphalt Xtreme is a racing game from Gameloft. It's an off-road racing game where you race against competitors. There are five total game modes, over 400 races, 500 challenges, and 35 vehicles to race with more to come. The game also has an online multiplayer where you can race against up to eight opponents. It's a freemium game so it'll have the usual pitfalls. However, Gameloft makes up for it by having a ton of stuff to do and the racing can get intense. Especially in multiplayer mode. Brawl Stars is a new action game from Supercell, developers of Clash of Clans and Clash Royale. This game pits players against one another in a beat 'em up style game. Most of the game modes feature three versus three player team battles. However, you can do two versus two and one versus one combat modes as well. The game types range from taking out certain players to capturing their loot. It doesn't matter, though, because every game mode can get intense. The online matchmaking can occasionally make the experience less fun, but that's how online PvP usually goes. We also appreciate the simple mechanics and quick games. Critical Ops is one of the up an coming first person shooters. That also makes it one of the better action games. It's carries a standard modern premise where you can play as terrorists or as a counter-terrorism unit. It also includes one of the better online multiplayers for a shooter on mobile. It keeps things simple and boasts a more skill-based game play than most. It's a good option if you like social shooters. It's also technically still in the developmental stages. That means it'll get better over time. It's currently freemium, but the in-app purchases are for customization and not for powerful gear. The action genre can span various other genres and so does Evoland 2. The game features hack-and-slash, trading card, 2D RPG, 3D fighter, and arcade mechanics across its story and mini-game lineup. Players traverse through the game's story. As you progress, the graphics and mechanics change. You may be playing a retro Legend of Zelda style hack and slash one moment, and a match-three combat game the next. The first game in the series is very similar and much cheaper. You really can't go wrong with way. Evoland 2 is $7.99 with no in-app purchases or ads. The original Evoland goes for $0.99 at the time of this writing. Most people have heard of Halfbrick Studios. They have a number of huge games in their library and they're all decent action games. Some of the games include Dan The Man, Fruit Ninja, and Jetpack Joyride. There are many others as well. The games all feature bright, colorful graphics, family friendly content, and simple controls. Not all action games require guns, explosions, or things like that. Halfbrick Studios proves it with their lineup. The games are usually freemium and that's a bit of a downside. Everything else about them is great, though. We have some more awesome game lists for you here! Into the Dead 2 is one of the more unique runners on mobile. You run through a field with weapons and defend yourself against the zombie horde. The second game adds a lot from the first game. That includes multiple endings, more weapons, a dog companion, and even some tower defense elements. The game also features daily and special events, but that's fairly normal for freemium titles. This is one of the good ones, especially if you like action. MADFINGER Games is a developer on Google Play with several excellent action games. Their most popular titles are the zombie shooters Dead Trigger, Dead Trigger 2, and UNKILLED. Each one has more feature than the last along with outstanding graphics, decent shooter mechanics, tons of stuff to do, and, in the case of UNKILLED, online multiplayer. MADFINGER also makes the Shadowgun series of games. There are a few of those as well. Those are more traditional shooters with sci-fi themes, online multiplayer, campaign modes, and more. Everything this developer launches is pretty fantastic, actually. Maple Media is a developer on Google Play with a variety of extreme sports games. That includes classics like Skateboard Paty 3, Snowboard Party, Mike V: Skateboard Party, and the newly released Tony Hawk's Skate Jam. The mechanics are occasionally clunky. However, this is about as close to early 2000's style extreme sports games as you can get. The pacing is good and the graphics are about as good as expected for a mobile game. The biggest problems with any of these games are the occasionally clunky controls, but if you can get passed that, these are the best extreme sports games on mobile. PPKP is a newer arcade action game. It features beat 'em up mechanics, very simple controls, and some extra stuff. You explore 2D environments, hammer on bad guys, and collect various items. The items are usable for various upgrades and there is a level up system as well. These types of games are usually just repetitive without much of an end game. However, this one has boss fights, a linear story path, and an end boss. You can actually finish this game. However, the game doesn't have any replay value once you beat it. Still, it's a good time and it has plenty of finger-flinging action. Rayark is a developer on Google Play and one of the few that do really good rhythm games. Their list of titles is extensive, and include Cytus I and II, VOEZ, Deemo, Mandora, Implosion, and Sdorica. All of these games start out fairly simple and get rather intense fairly quickly. Each game has a narrative along with a list of songs to play. Each game lets you buy additional song packs as in-app purchases. That gives them the appearance of freemium games. However, these DLC packs are permanent additions to the game, so they're not. There are more good mobile games than you think. Check these out! Riptide GP: Renegade is a racing game from a critically acclaimed series of titles. It's a waverunner game where you race jet skis instead of cars. The waves affect the race track and that can make races intense. As you progress through the campaign, you'll have access to upgraded jet skis and harder competition. The game also includes an online multiplayer mode in case you want to race real people. It comes with local multiplayer mode and you can even race split screen if you have two hardware game pads. It's a really good game and one of the few good racing games with no in-app purchases. Sky Force Reloaded is a top-down shooter with tons of action. Each level has you flying through a battlefield, destroying enemies, complete in-level objectives, and avoid being destroyed. The game also has various aircraft to unlock, upgrades, and card buffs to make things easier. It rounds out the experience with beautiful, colorful graphics, voice over work, and a decent soundtrack. It's a time waster, but it's one you'll have to pay attention to if you want to win. It's a fantastic title and worth a shot. Super Phantom Cat 2 is the sequel to the popular Super Phantom Cat game. It's an arcade platformer, but with a cat. It boasts some callbacks to the platformer games of yore along with a bunch of other content. That includes a story line, surprisingly decent controls, and more. It's quite goofy, much like the first game, and that helps the gamer not take it too seriously. It's also kid and adult friendly. This one is technically a freemium game, but it's one of the least offensive freemium games on Google Play. We also recommend Oddmar if you're into platformers. Swordigo is a favorite of our readers. It's a fairly standard action-platformer. You explore a world filled with dungeons, towns, treasures, and monsters. There are also a bunch of things to collect such as magic, swords, and other gear. It's quite simple in terms of execution and game play. It's a 2D side-scroller. Additionally, the touch controls are simple and customizable, a rare trait in mobile games. This one is fairly short, but it's also fairly cheap and that makes it hard to complain. This is an excellent game. Zombie Gunship Survival is the second game in the Zombie Gunship franchise. It's an action-shooter game with tower defense elements. The game features realistic weapons, interesting mechanics, decent graphics, and more. 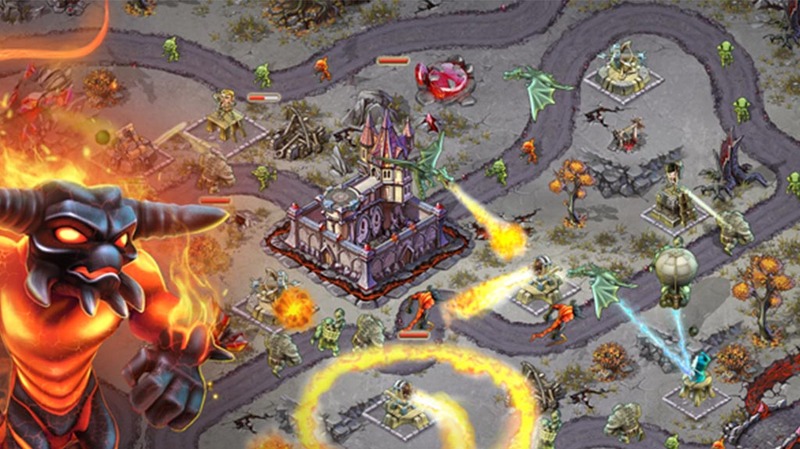 Players sit in a gunship and mow down hordes of zombies in order to save people. The premise is simple, but its execution is decent. It is a freemium title and some of its content is a little slow. For instance, we would like to see the various game modes available more often. Otherwise, this is a solid game. Related ArticlesThank you for reading! 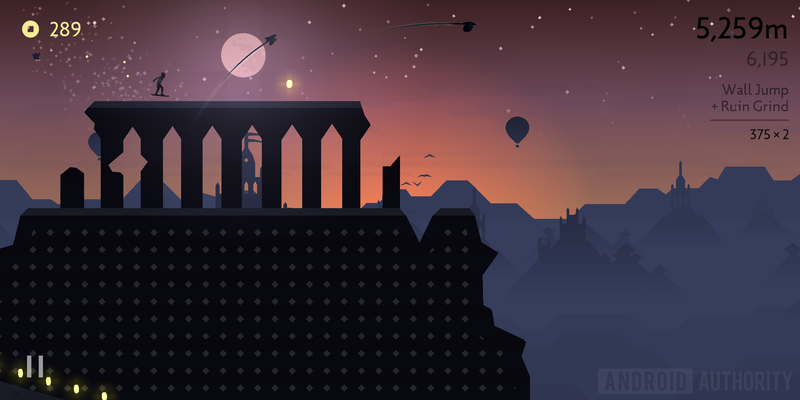 We have a few more Android game recommendations! If we missed any great action games for Android, tell us about them in the comments! You can also click here to check out our latest Android app and game lists!